Available in charcoal , blackberry, navy blue,cocoa brown and black brown. Smudge free with smooth application. Fades off after 16 hours leaving your eyes clean without any blackness. A self sharpener is included at it bottom allowing you to make thin lines . You can pull out sharpener from end of pencil. Twist pencil to expose fresh color. Insert in sharpener and turn gently. Waterproof and ophthalmologist tested . Almost the perfect and best product with some minor drawbacks like some of the best color options have been discontinued. 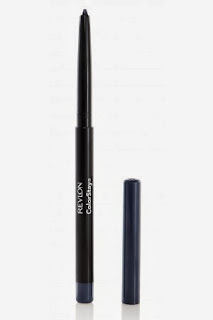 SO, glide this pencil along upper and lower lash lines to get iconic eyes .